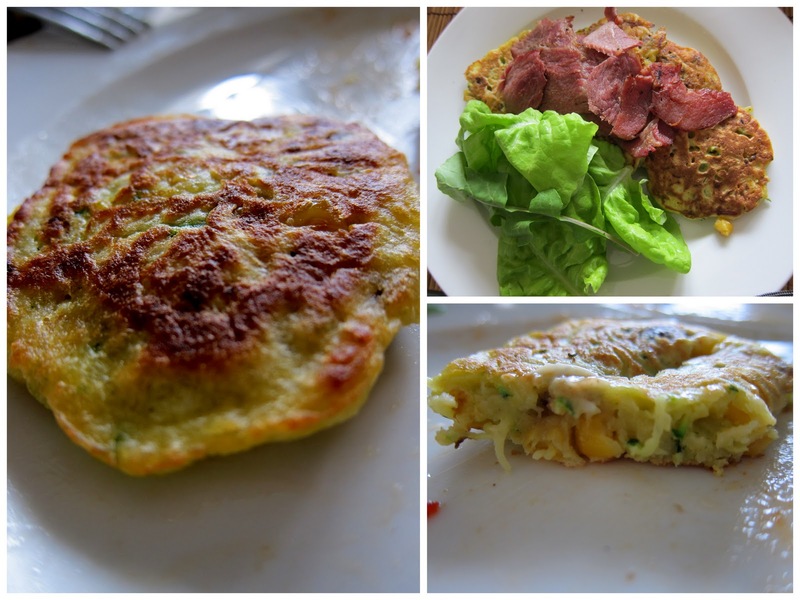 If you spend any time in our house, you'll know that we are BIG corn fritter fans. They are one of Noah's most requested meals and a great easy Friday night picnic fare. 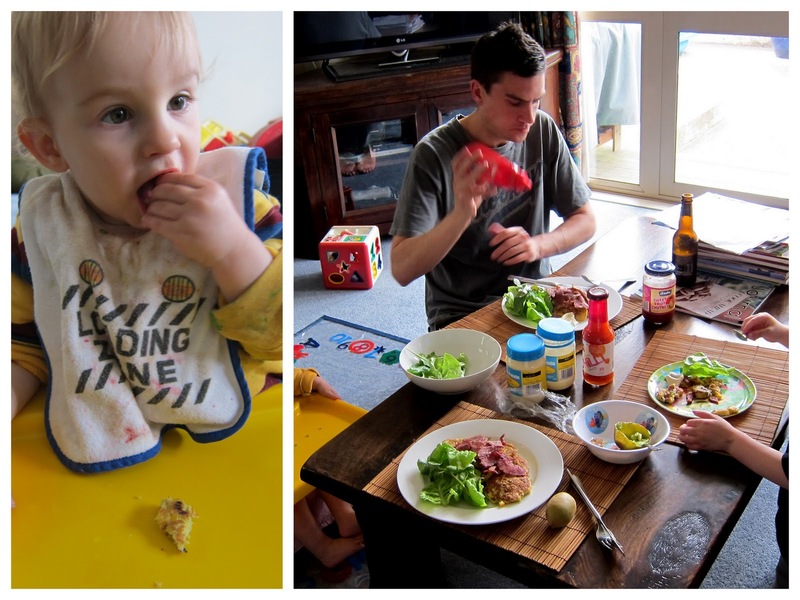 Mark still says to this day that back when we first started going out, it was one of the first iconic Kiwi meals I cooked him. I'm actually amazed he ever ate it, since he wasn't great with any kind of veges back in the day. He must have been far too in love and too polite to say no! The classic Edmonds cookbook (which every NZ household surely has!) provides a great starter for a classic fritter recipe, but we add our own ingredients to give them a bit more pizzazz. You can't even taste the grated courgette and it is a great, secret squirrel way of adding greens into the meal for kids. Add eggs, tin of corn and salt and all the optional extras. Drizzle olive oil in pan. When pan is medium hot, drop dessert sized spoon fulls (or whatever size suits - we sometimes do smaller ones for the littlies) into the pan. Cook until just brown and flip over. Keep cooked ones warm in oven till ready to serve. Great served with sweet chilli sauce, mayo, tomato sauce, sweet fruit chutney or a combination of all of these for garnish. Goes nicely with salad fresh from the garden in summer or a homemade rataouille in winter. YUM! We love sweetcorn fritters here too! I always love the sound of these but whenever I make them they turn out foul! yours look waaaay better! !